September 13th: What's On Today's Show : Blog Of The Nation In the first hour of Talk of the Nation, Israel under siege, and how music improves exercise. In the second hour, playwright Tony Kushner talks about the 20th anniversary of his groundbreaking play, Angels in America, and doctors receiving money from drug companies. 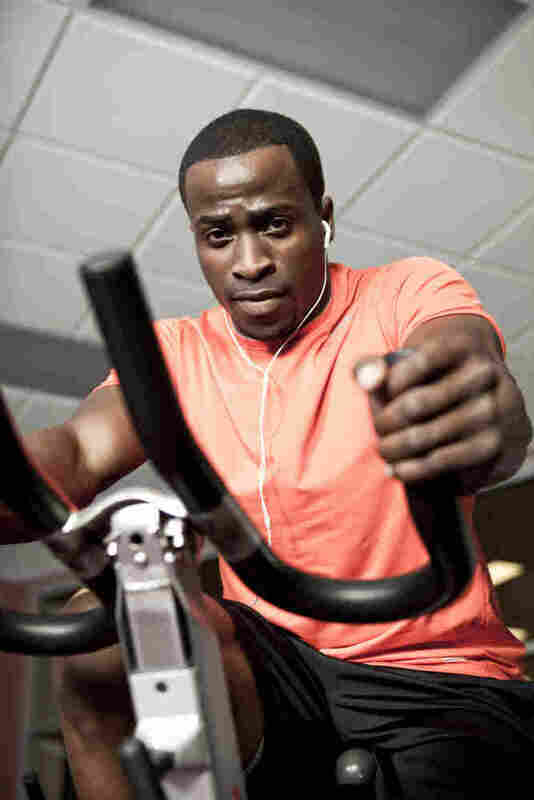 Many people listen to music while they work out. Recent research suggests that the right soundtrack can improve your performance. We'll talk with one of the researchers at the end of today's first hour. Israeli diplomats fled Egypt last week after an attack on their embassy in Cairo. In Turkey, Israeli officials were forced to leave in a diplomatic row. And later this month, Palestinians hope to overcome U.S. pressure and win a bid for recognition of statehood at the United Nations General Assembly. As Israel appears to lose its Muslim allies it faces a growing sense of isolation in the world and many worry about the possible repercussions for the peace process, Israel's security and the U.S. role in the region. Neal Conan talks with Washington Post correspondent Joel Greenberg and Dore Gold, former Israeli Ambassador to the UN, about Israel's new sense of isolation and how it changes the dynamics of the Middle East. Anyone who exercises regularly can tell you the right workout routine and equipment is important — and so is the right music. Costas Karageorghis, a sports psychologist at Brunel University in London, argues the tempo and pacing of the music you listen to while working out can have a big effect on athletic performance. Host Neal Conan talks with Karageorghis about why music can be a driving force for exercise and what soundtrack is best for various workouts. Twenty years ago, Angels In America made its world premiere on a stage in San Francisco. In the years since, the groundbreaking duet of plays has been performed all over the world, turned into an opera and a miniseries, and racked up numerous awards, including the Pulitzer Prize. Host Neal Conan looks back on Angels with playwright Tony Kushner, and asks what have we learned from its themes.